A few months ago, Judith and I started up an impromptu book club called Epic Recs. The aim of this was to force each other to read books that we have previously loved. You know, because Judith is a self proclaimed book pusher, and I just like forcing people to do things. It was a bit troubling when I hated Shatter Me, and I thought our friendship was over for good, but other than that it has been a great experience. Some of you showed a lot of enthusiasm for this book club of ours, and we had a few requests to open it up to our readers. And that is precisely what we're doing! The way this works is each month we will publish a post where participants can link up their Epic Recs posts, declaring how they liked their Epic Rec for the month, what they're planning on reading for the upcoming month, who Epic Rec'd it, and what they recommended in return. You can do this in pairs, threesomes, or more, depending on how much you think you can handle! It's totally up to you. We're also planning some other fun things and giveaways, although due to work and school commitments, the planning is going rather slowly. But we'll get there in the end! Anyway, on to the actual recs. I didn't actually read my Rec from October, which was Just One Day by Gayle Forman. And Judith didn't read Cirque du Freak (which she insists on calling A Living Nightmare *shakes head*) by Darren Shan either. Whatever, whatever, they're coming up on our to be read piles soon. 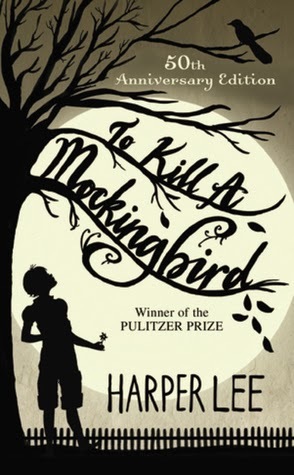 This month I recommended TO KILL A MOCKINGBIRD by Harper Lee to Judith, because I'm an amazing friend and I want her to fall in love with Atticus. 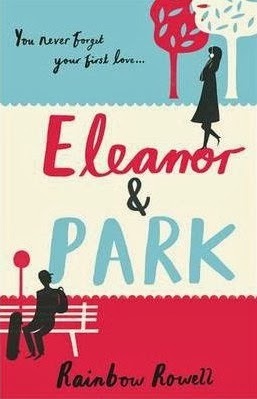 Judith recommended ELEANOR & PARK by Rainbow Rowell to me, because she adores it and thinks I will too. Tatum loved it also, so my expectations are sky high. And, in case you want to join us, here is the linky for you to share your post! 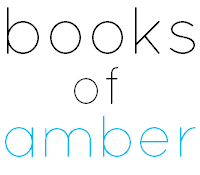 I'm looking forward to seeing what some of you recommend to each other, and undoubtedly being blamed for all the life-ruining books you're about to receive. You can also grab a button to share on your blog if you wish! Ohhhh, fun!l l'm going to see if I have place for this and if I can find someone :D I can't wait to see what you two think of the epic recs books this month. and I just like forcing people to do things. what a good idea tbh, i shall use this opportunity to force you all to read my favouritest books in the universe. also you WILL like eleanor & park because of reasons. Also, my book says that it's called A Living Nightmare. What else am I supposed to say. I might become the first one *woop woop* So exciting. I think it would be even better if people sign up initially and you guys partner people up.. this way people get to know other book lovers and I just feel it would be even better :) as for both your recommendations.. i've read both and love both! To Kill a Mocking Bird was a school read but I loved it, as for Eleanor & Park *sigh* I loved that book so much! Oooh, expanding it to the BookTube community is actually a great idea! I love it. We could do a video together. ALL THE IDEAS. Ahem, anyway. I think it might be more fun if people already know each other? I'm not sure, but I feel like if you know each other, you will probably force each other to read something sooner. I won't push books on people I don't know. i get your point but I feel that the blogging and even book tubing world is sometimes very clique-ish and this way we get to meet new people you know? What I would suggest is if people DO have someone they want to do this with then sure, but another option is just going in blind and you guys matching them up? and yes, expanding it to youtube sounds awesome. I would love to participate in that!